3/11/19 at 3pm EST, The Joey Stuckey Trio's song "Trouble Comes In Threes" airs on The Douglas Coleman Show, on web-based platforms and also 11 syndicated terrestrial radio stations across the U.S.A.
American Pride Magazine - "Joey Stuckey Alive Day Festival September 29"
A "don't miss" during the holidays! December 29, 2017 LIVE ON FACEBOOK! Click the image below for more info and to mark yourself as attending. Music, Food and Drink--Oh My! Okay, this is for those of you looking for something fabulous to do in our hometown over the next few weeks. Two outstanding and world class bands/artists are holding their debut release concerts in Macon and it is going to be amazing! These are must attend events if you love good music. First, long time middle Georgia favorites The Vineyard Band are releasing their first official recording called “Cheap Motel Rooms”. This is real country folks--the kind that focuses on honest and real story telling. The recording is deceptively simple but extremely compelling, much like the last few albums made by Johnny Cash. I want to take a moment like a proud father to say that Amber of The Vineyard has always been a great singer, but I have had the privilege over the last six months of hearing her really grow into her voice as her vocal coach and I am so excited for you to hear her now more than ever. The Vineyard Band album release show will be at Grant's Lounge on March 11th at 8:30pm. There will be albums, T-shirts, coozies and stickers for sale. They will be performing the songs from the album in order plus other Vineyard Band music. The art of Thomas Sanders will be on display and prints of his work will be for sale. 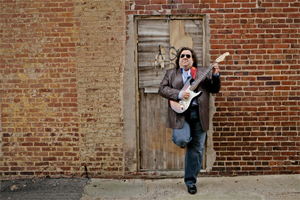 Macon Blind Guitar Legend Joey Stuckey Working On New Blues Album Feat. Huge Names! 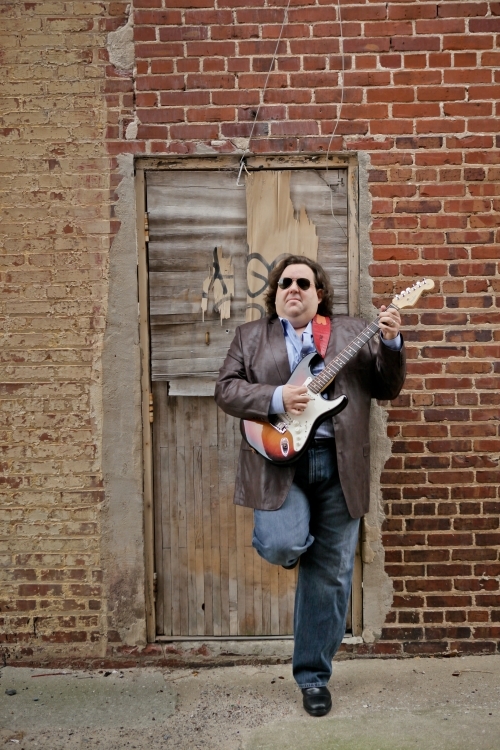 Macon, GA - Joey Stuckey is a blind guitarist, producer, educator, recording artist and media personality. Recording Connection mentor Joey Stuckey Champions New Audio Engineering Technologies for the Blind! Joey Stuckey's Jazz Quartet will be performing at the Thomaston Arts Council on October 10, 2015 from 6 - 8p.m. Celebrate Joey's 'ALIVE' Day - September 29! Celebrate Joey's 'ALIVE' Day with the hastag: #AliveDayJoeyStuckey! 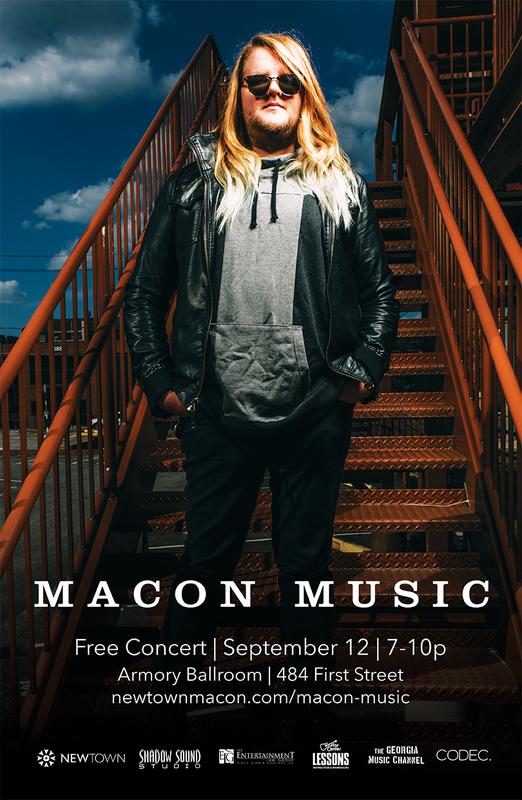 Macon Music Concert - TOMORROW Come on Out! Joey has won the Recording Artist of the Year Award from the Atlanta Society of Entertainers! 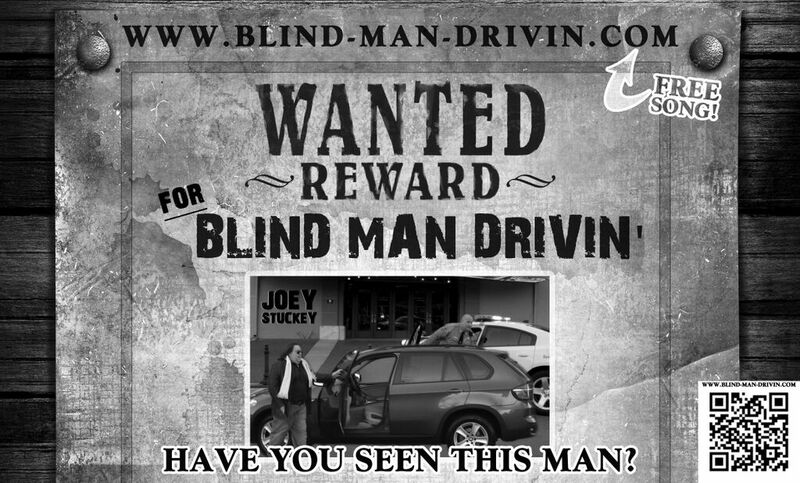 BLIND Man Drivin' - GET IT! Joey Stuckey's Jazz Band will be performing at the Thomaston Arts Council on October 10, 2015 from 6 - 8p.m. (Macon, GA) July 17, 2015 – In just a few days, technology testing for blind musicians will be coming to Macon. On Monday, July 20 and Tuesday, July 21 from 2 p.m. to 4 p.m. (both days), members of the media are invited to attend the installation of new technology at Shadow Sound Studio. The studio is located at 473 Third Street in downtown Macon. Joey Stuckey, official music ambassador for the city of Macon and local award-winning blind producer at Shadow Sound Studio, will take part in this major international collaboration to assist blind musicians. During Joey's recent tour of the U.K, where he spoke and performed at the University College of London and released his single ‘Blind Man Drivin,’ Joey was introduced to a wide network of music technology professionals, including the technology team from Goldsmiths University in London. The team is working to make music technology more accessible for the blind. Adam Parkinson, one of the team’s researchers, is coming from the U.K to Macon! 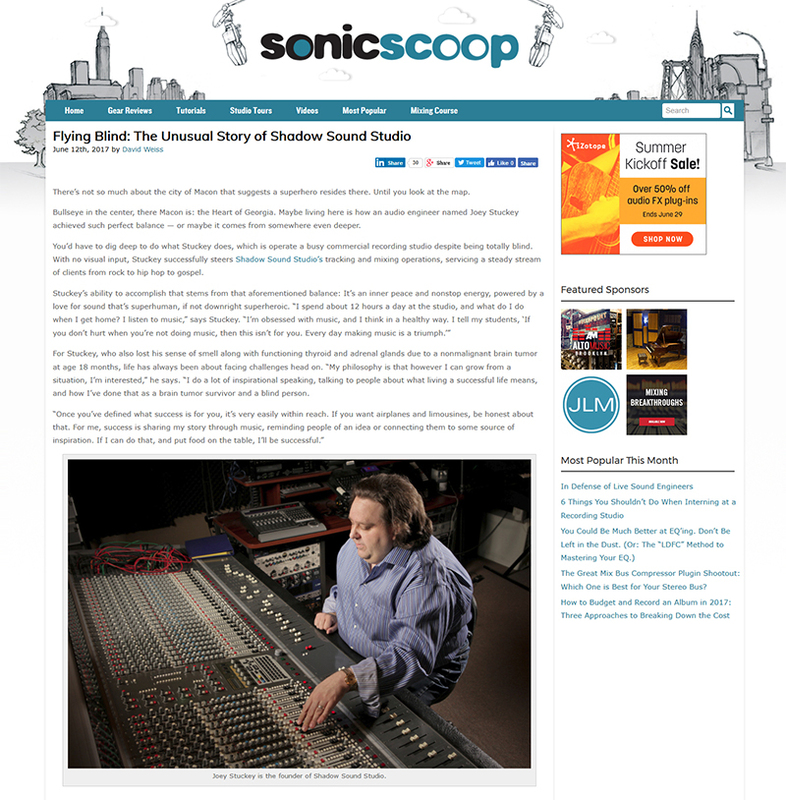 Parkinson will be installing the new technology at Shadow Sound Studio. The technology will allow Joey to continue to work on everything music and sound-related (similar to his sighted counterparts). The haptic control surface technology offers the ability to edit wave forms in the digital domain using hands instead of eyes - a technique which will improve the editing process for Joey’s production. This is the second project Joey has participated in since his trip to the U.K. I'm excited to announce that our Piano Room is finally renovated and ready for use at Shadow Sound Studio! Check out our Piano Room Gallery here for more pictures. Production for Macon Music CD is Done! Well, I am all done! Just finished the final mastering tweaks for the "Macon Music CD V-1" and it is truly wonderful how much talent we have in this area. My fantastic partners at NewTown Macon are currently finishing up the artwork for the project. Don't forget the Macon Music CD is FREE and digital downloads wil be available on the NewTown Macon Website in the near future. On Saturday, September 12, there will be a concert held at the Armory Ballroom to celebrate the CD release and the amazing Macon musicians that made it all possible. Doors open at 6:30pm with a viewing of a mini documentary of the recording process for the CD and the story of the artists. The artists will be on hand to sign copies of the FREE CD before taking the stage to show off their unique Macon sound! I have been dreaming of this kind of event for a decade and am so glad I was at long last able to produce a recording like this! A big thank you to all the artists who did a great job sharing their music on this recording that show off our town! VOTE for Joey Stuckey - Georgia Music Awards! 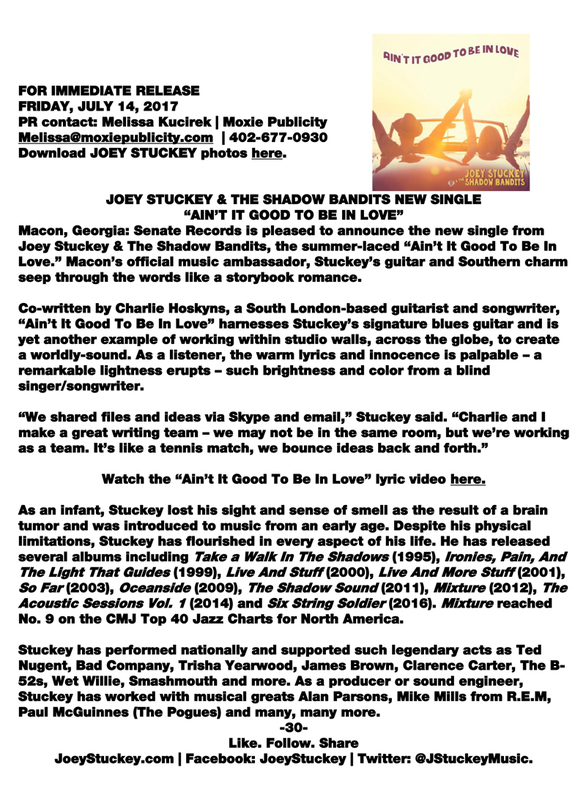 Joey Stuckey is an official Nominee for the 2015 GA Music Awards. Voting has begun and will end on August 3rd! Anyone can vote for you at www.GAMusicAwards.com, or via text by texting "voteGMAwards" to 234.244.7283 and following the responding directions. Text voting is $1 per vote. The Joey Stuckey Jazz Trio will be performing tomorrow at The Grand Re-Opening of Highway 96's Kroger. The Annual Ray Melton Music Man Awards will be held this Saturday, June 6 from 12pm - 5pm. It is organized by Producer Joey Stuckey and his Shadow Sound Studio, in conjunction with the Atlanta Country Music Hall of Fame and Pete and Fay Hatfield. Every year, Middle Georgia musicians come together to support each other and present musicians or groups with an award. The award and event is named after Ray Melton, who was a musical legend in Georgia and beyond. The award goes to individuals who have made a difference in the Middle Georgia music community. The event is free. Come out and enjoy the food, drinks and the great music! The music is in the style of country/gospel. We have assisted in bringing this program to Macon since 1999. Joey Stuckey returns to the Pond Town Festival (www.pondtownfestival.com) held in Rhine, GA on Saturday, April 18. "It's always a lot of fun with lots of great food and fellowship!" Joey Stuckey Rock Trio Performing at Library Ballroom! Macon Musicians - SUBMIT Your Material! 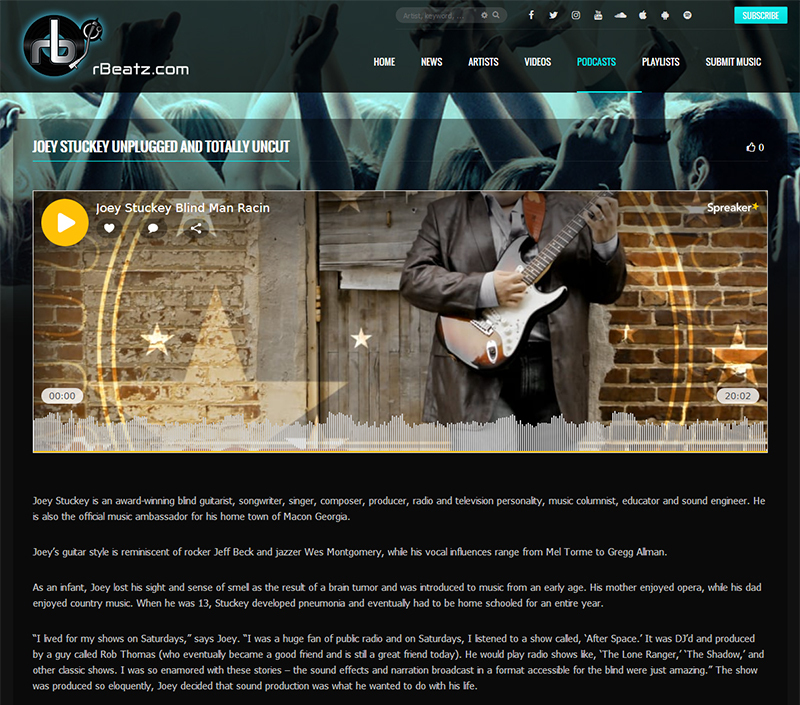 Include the band type, cover band, founded, band address, any links to social media or a website, a short bio, band members, band representation and any additional photos or video links. Award-winning blind musician Joey Stuckey will be appearing in the UK for the first time on Thursday, the 12’Th of March 2015. He will be speaking and performing at the University of London on the 11’th and also releasing his new single and video for his song “Blind Man Drivin” in a more intimate setting after 7pm on the 12’th of March at the 1930’s inspired Ivey House. The release concert will include a meet and greet with the Grammy-Voting Member where you can meet Joey and get copies of his single signed from 7 to 8pm. This free intimate event is aimed at music fans and music industry people alike, so it will be a really good networking opportunity for anyone in attendance. From 8 to 10pm, Joey will perform two 45 minute sets of original music along with his own arrangements of songs made famous by musicians from Georgia USA, like Otis Redding, The Allman Brothers and John Mayer. Joey will also perform a few songs from his favourite artists from the UK like the Smiths, The Beatles and George Michael. Don't miss your chance to see this award winning recording artist and producer in an amazing 1930’s original intimate setting with just his amazing voice and acoustic guitar. Because he loves real music fans and wants to meet as many as possible, there is no cover charge for this event; however places are limited – so we recommend confirming your place with us. The event will be first-come first-serve, so we recommend getting there around 6:30. Joey has received a nominated from the Atlanta Society of Entertainers for Recording Artist of the Year! “It sends a powerful message to have the participation of so many advocates and supporters of disability rights at this Rally, as we mark 25 years since passage of the ADA,” said GCDD Executive Director Eric Jacobson. “Each year, Disability Day at the Capitol grows in size and scope. We are particularly honored to have Governor Deal return and we are very proud to have the authentic Civil Rights voice of Congressman John Lewis speak to us about Social Justice, as only he can.” Congressman Lewis shares his personal family connection to disabilities in an exclusive Disability Day message. 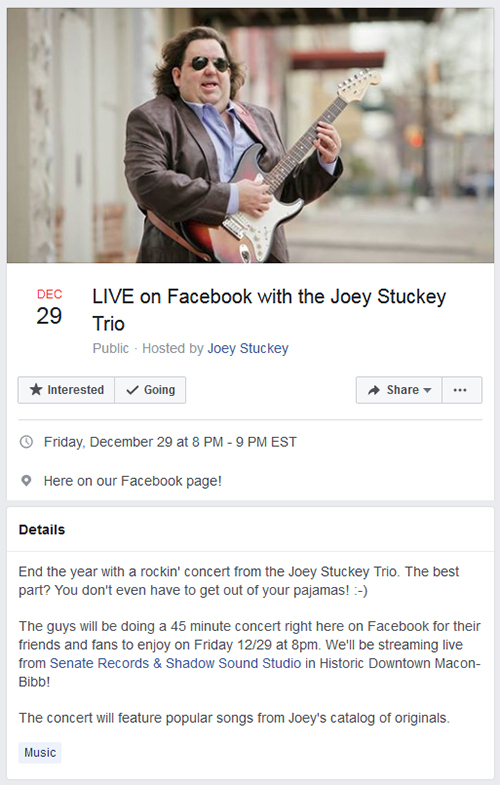 Award-winning guitarist and vocalist Joey Stuckey (www.joeystuckey.com), the official Music Ambassador of Macon, will perform three standard selections: Star Spangled Banner acappella, Georgia on My Mind and This Little Light of Mine. He has studied a range of music genres with many accomplished professors and renowned musicians, including jazz guitarist Stanley Jordan. 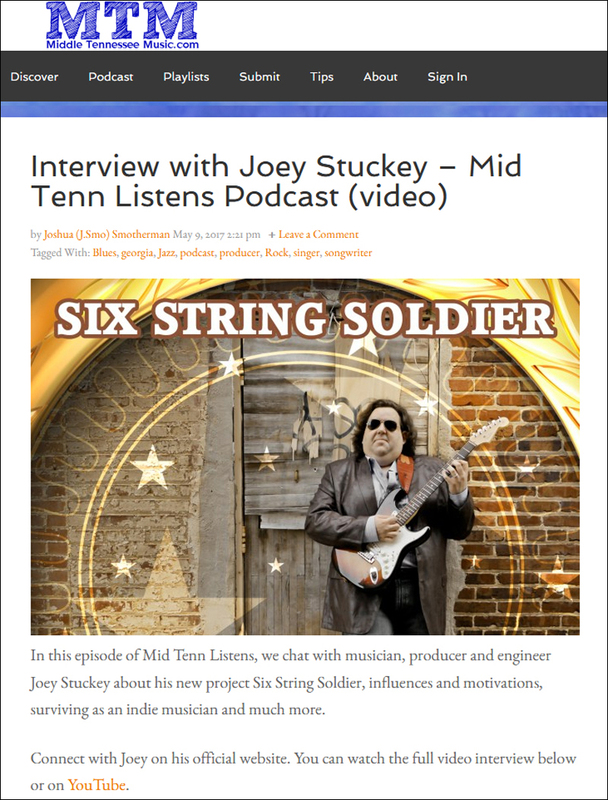 Stuckey lost his eyesight and sense of smell as an infant as result of a brain tumor and he developed an early love of music from his mother’s enthusiasm for opera and his father’s penchant for country and western. 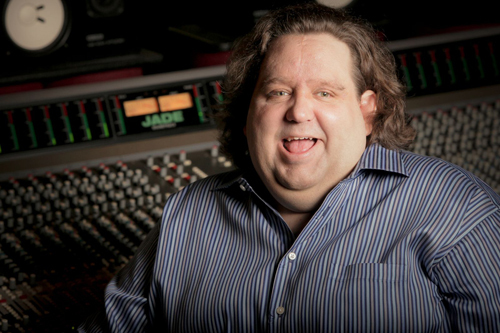 In addition to performing and managing his recording studio, Shadow Sounds Productions, Stuckey teaches music, delivers motivational talks and advocates for access to music education for blind children. His new single, Blind Man Drivin’, will be released during a 10-day tour of the UK later this month. Closing the program, Rally leaders will rouse the crowd with chants promoting the themes of the day as they march past the Capitol to the Freight Depot. One in five Americans lives with disabilities as an occurrence of birth, injury or longevity, representing one of the fastest growing socio-economic sectors in the country. 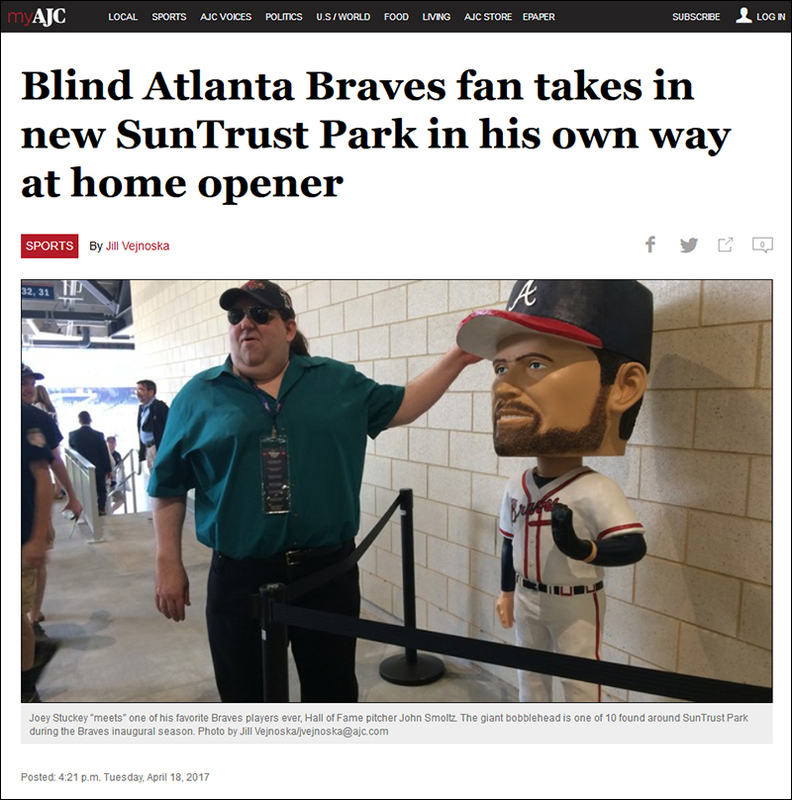 Georgia has one million children and adults living with disabilities. An Employment First policy in Georgia – promotes employment in the general workforce at or above minimum wage as the first option for individuals with disabilities. Inclusive post-secondary education - provides opportunities for students with intellectual disabilities to access higher education and social growth. The Family Care Act - allows flexibility for families to use their sick time to care for each other. Disability Day activities begin at 9 am at the Georgia Freight Depot with t-shirt pick-up, sign-making, exhibits, including accessible voting machine demonstrations, and signature collection for the official ADA Pledge (www.adaanniversary.org/pledge) for those who want to sign-up to actively recommit to the fulfillment of the ADA. The GCDD Public Policy Team will offer Advocacy 101 training beginning at 9:30 am followed by visits to the Capitol to meet legislators. Attendees will also have the opportunity to visit an ADA Exhibit in the Rotunda of the Capitol that will highlight the “preserve,” “educate,” and “celebrate” slogan of the National ADA Legacy Project and a table of source materials including current issues of GCDD’s quarterly news magazine, Making A Difference. The 11 am Rally will take place in Liberty Plaza, the Capitol’s new “front door”, located at the intersection of Capitol Avenue and Martin Luther King, Jr. Boulevard. GCDD, a federally funded independent state agency, works to bring about social and policy changes that promote opportunities for persons with developmental disabilities and their families to live, learn, work, play and worship in Georgia communities. A developmental disability is a chronic mental and/or physical disability that occurs before age 22 and is expected to last a lifetime. Visit www.GCDD.org for more information. 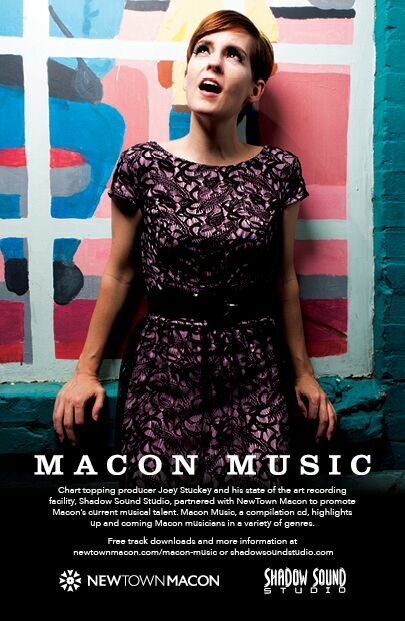 The music from Macon is one highlight that has made our city famous. The music culture in recent years seems to be growing, from Macon Pops, Bragg Jam to local concerts on the streets and in unique places. To strengthen our music scene, NewTown Macon and Shadow Sound Studio are partnering to create a compilation CD of Middle Georgia musicians. The CD, Macon Music, will promote local artists to venues in town, Macon visitors, and other music industry professionals. The annual contest will accept submissions from local artists during the month of March and a panel of judges will select ten artists to be feature on the CD. All genres will be accepted. 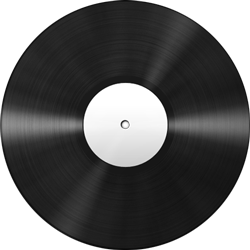 The winners will receive a professional recording or re-recording, 25 promotional CDs and a launch party, all at no cost. To see contest rules and submit your tracks visit SonicBids.com/newtownmacon Jimmy Hall's call for submissions. Recording Artist Joey Stuckey Travels to the U.K.! 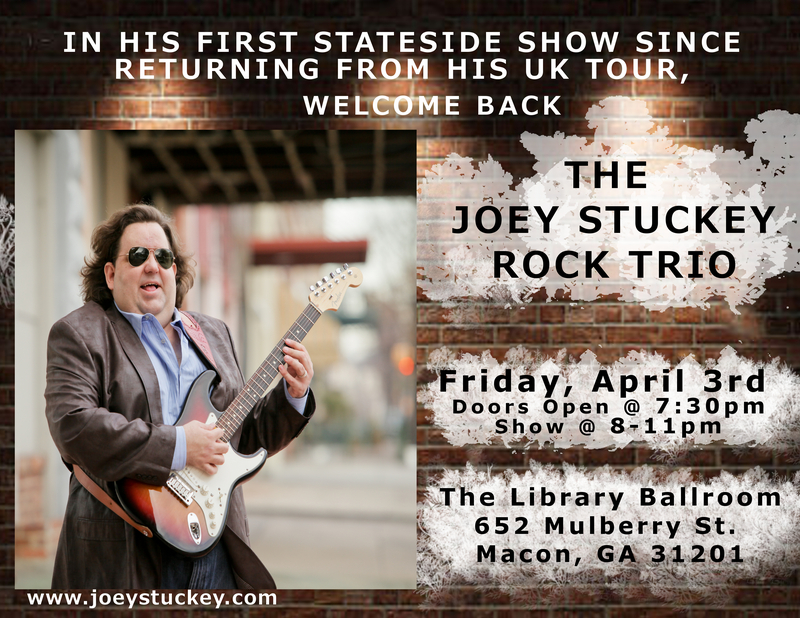 (Macon, GA) February 16, 2015 – Joey Stuckey, Macon’s music ambassador, will be travelling to London for a 10 day tour in just a few weeks. The tour will include a two-day conference for visually impaired musicians on March 10 and 11. Joey will be performing and speaking during the conference. 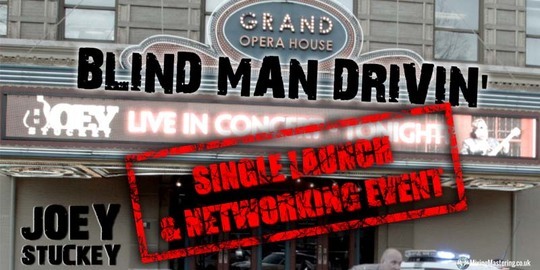 His single, ‘Blind Man Drivin’ will be featured as the theme song of the conference and released at the trendy Ivey House in London on March 12. ‘Blind Man Drivin’ was written by one of Joey’s closest friends and collaborators, Henry Oliner, who also appears on the ‘Blind Man Drivin’ music video. The single will be officially released March 12 and the album with the same title will be released in September 2015. While in London, Joey will be giving talks and performing at various venues. 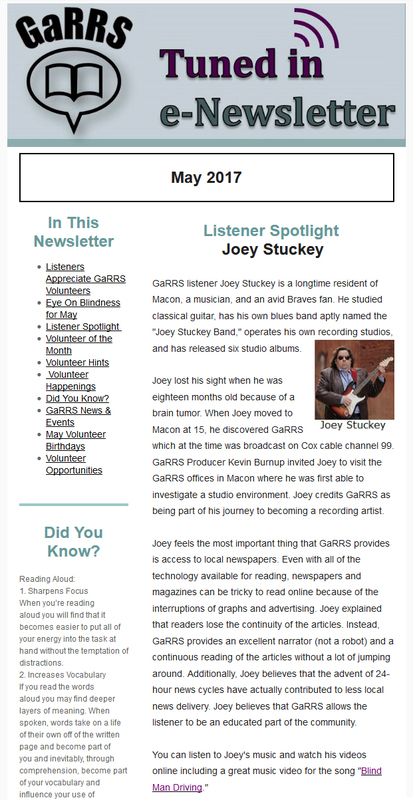 For more information about his tour, Gateway Macon will be featuring daily blogs and photos of Joey beginning March 9 through March 17.